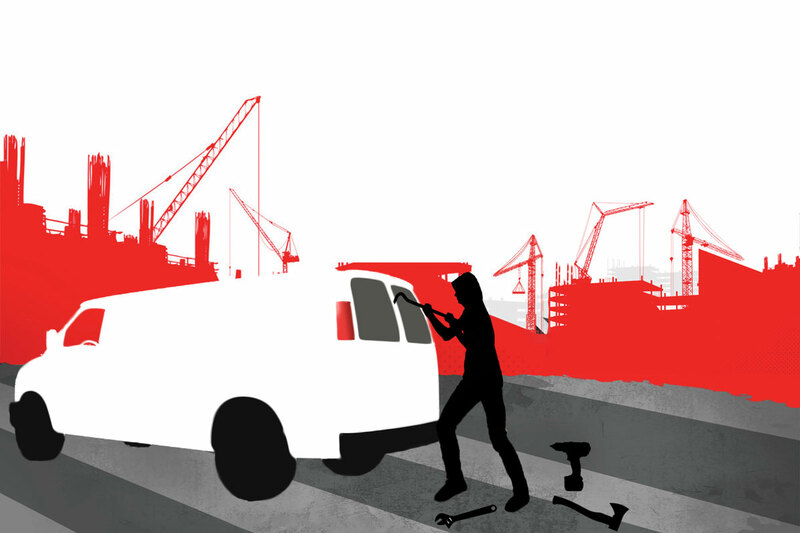 From education and peer pressure, to technology and tougher penalties, tool theft will be defeated only through the combined efforts of the authorities, tradespeople and the marketplace. Tool theft has been around for decades, but in recent years the scale of the theft of tools from tradesmen and business owners has reached epidemic proportions, increasing by as much as 40% since 2016. Tougher penalties alone aren’t likely to get thieves to stop stealing tools. But, as with drink driving a generation ago, tougher penalties combined with education, peer pressure and technology, for example, will combat the problem. Of course, harsher sentences for those convicted of tool theft will act as a deterrent for some. The maximum penalty for theft is seven years’ imprisonment, but sentencing is a matter for independent judges, who will consider the circumstances of the offence and any mitigating and aggravating factors, including financial harm and the impact of the theft. And many thieves still choose to take their chance. The judiciary system is not perfect and investigative options and lines of enquiry often limited and unsuccessful. And even when stolen tools are recovered, often they cannot be returned to their owners because most of the items recovered will have no individual identification marks on them. On the rare occasion that insurance does pay out ays out the full amount to cover repairs and replacement tools, the delay between making the claim and receiving the pay-out can put tradesmen out of business. We need to make tools harder to steal and stolen tools harder to sell, and the industry has a lot of room to grow in education, peer pressure and technology. The ultimate in tool tracking is arguably a GPS system with the potential to pick up a signal from anywhere rather than limiting detection to Bluetooth distances, as some current tracking solutions do. Of course, keeping tools out of sight and locked in a secure storage container in a van that is alarmed and parked in a secure or well-lit area, will deter some thieves, if not all. Though, we need help from other forms of technology to combat tool theft, such as digital technology platforms like eBay, Gumtree and Craigslist. Criminals look to swiftly sell on equipment they have stolen to gain money and avoid being in a position where they are caught in possession of stolen goods. Many will use these online forums to sell tools at a reduced cash price. Classifieds websites need more effective reporting systems and need to work more closely with the police and trading standards to make it difficult for stolen tools to move from the hands of thieves into the hands of tradespeople. This is the vicious circle that can only be broken by collaboration, through the education and encouragement of tradespersons to look out for each other as well as looking out for those 'bargain deals’, which are often a hallmark for stolen goods. At Cologne last week, the International Hardware Fair was in full swing – and Armorgard was in the thick of it, with some key products on display.